$3,225.00 each List: $5,998.00, You Save: $2,773.00! 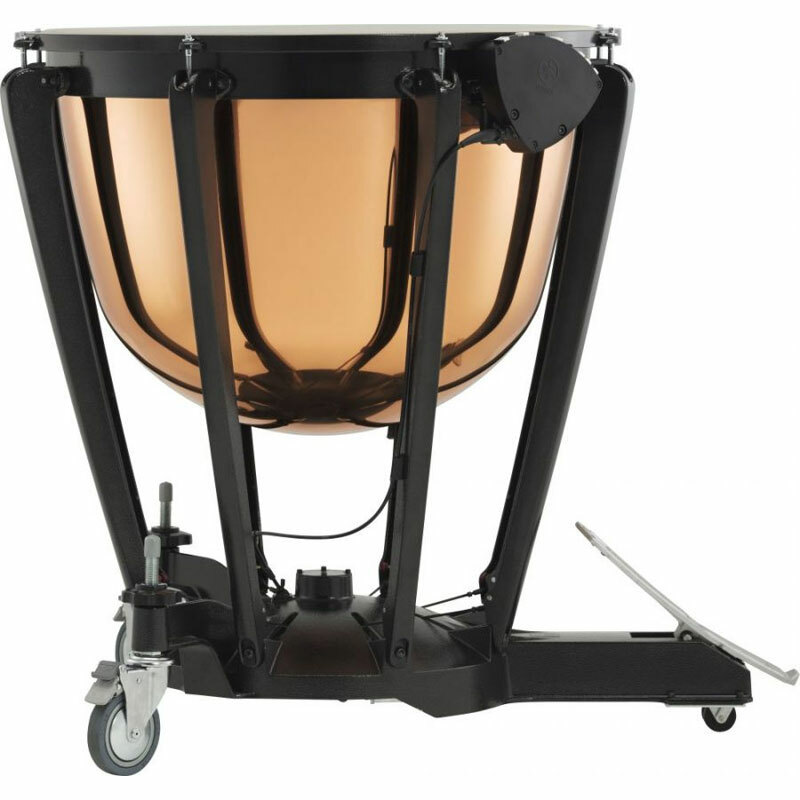 The Yamaha 32" 6300 Intermediate Series Timpani is made with a smooth copper bowl that creates a rich, professional tone with plenty of dynamic power when you need it. This drum would be a wonderful addition to any high school or college program, and most people wouldn't be able to discern this drum from one that costs thousands more. The Balanced Action Pedal System lets the player move the pedal without needing to activate a clutch, making pitch changes far easier than on a Dresden-style system. The enhanced frame design allows the kettle to 'float' for maximum resonance, while protecting the bowl from being dented. Large casters make the drum easy to move, especially with the small recessed caster under the pedal. The casters lock and unlock easily, able to adjust in height to get the perfect angle whether you're sitting or standing. Standard Series timpani include a few extra perks: a tuning key/wrench holder, recessed rod ears that stay out of the way on quick drum-to-drum licks, and teflon tape on the bearing edge for silent tuning. This 32" drum has a suggested range of D2 - Bb2 and includes a long cover to protect it from curious hands when it's not being played.